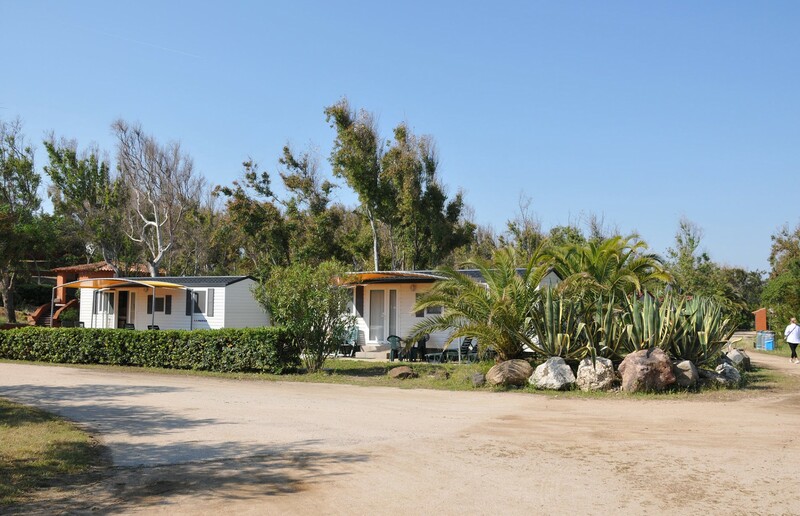 In the area village, at Village Camping La Foce you can choose between four different types of exclusive mobile homes and our lovely bungalows. The bungalows are nice masonry structures, simply furnished, and very functional, situated few steps from the center of campsite and swimming pool and near to the parking places. The bungalows are equipped with a bedroom with double bed which can be divided, a second bedroom with bunk beds, a kitchenette (providing cooking utensils) with refrigerator and private bathroom with shower,toillet, bidet, washbasin. Outside the bungalow benefits of a large covered and paved veranda, equipped with table, chairs, sun bed and drying rack and outside place for take the sun. The mobile homes are perfect solution of accommodation for those who wants to have all amenities of the own home also during the holiday. 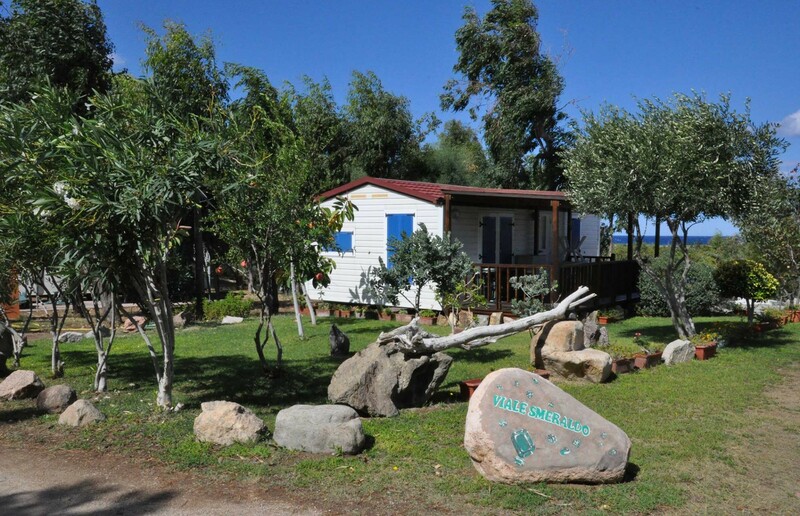 All the mobil homes are located in shadow of eucaliptus trees, close to major services of the village,like parking places, restaurant, coffe bar,super market, swimming pools and sport-fields. They are designed with an outer coating of resin and wood for better insulation from the elements. We can propose you four different types of mobil home: Comfort, XL, Elegant and De Luxe. Mobil homes offer high quality standart and allow you to enjoy your holiday full of comfort. 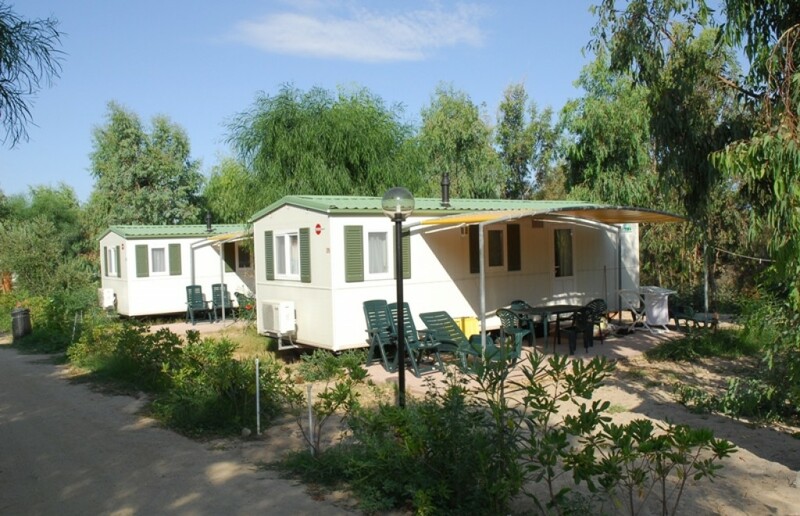 The mobile homes are very pretty, can accommodate up to 6 people, with a double bedroom, another bedroom with 2/3 single beds, and one or two baths with shower and a living room with kitchen, equipped with cooking facilities. Outside they have a paved and covered veranda, furnished with table and chairs, 2 sunchairs and 2 sun loungers and drying rack. 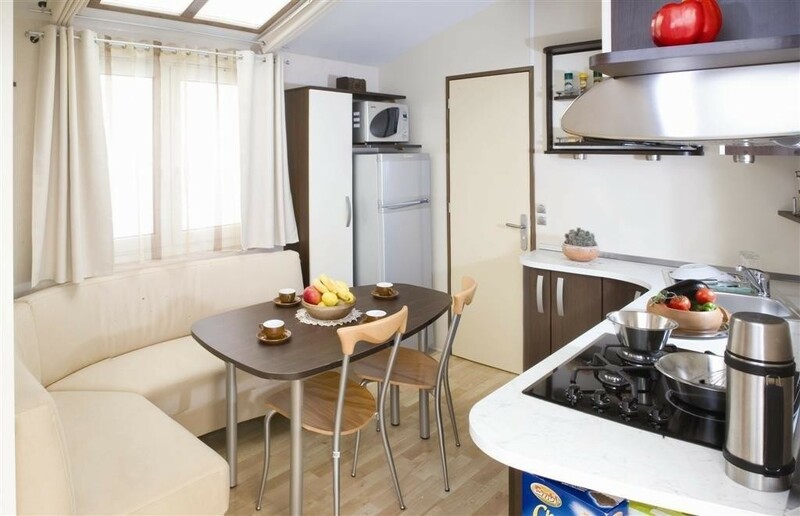 They are furnished with care to datails like with TV LED with reflector, American coffee machine, air conditioning. Mobil homes include pillows and blankets. Sheets and towels are on request. Included in the price: electricity, parking, entrance to the swimming pools and sport-fields and boat,which bring you to the beach.